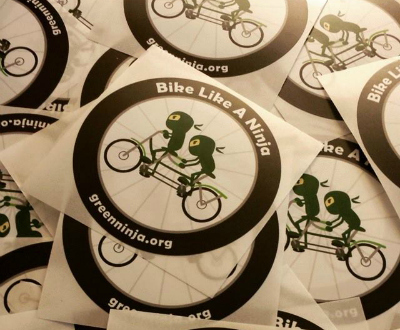 The Green Ninja Climate Ride Team (courtesy of The Green Ninja Project). 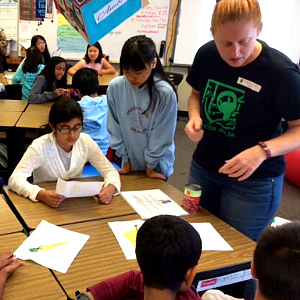 In the classroom (courtesy of The Green Ninja Project). After months of training and fundraising, the Green Ninja Climate Ride Team is set to take off in the Northern California Climate Ride. The ride starts in Eureka on May 17, and ends five days later in San Francisco on May 21. The eight team members will bike 320-miles along the Northern California coastline to raise awareness about climate change and support environmental non-profit organizations like the Green Nina Project — an SJSU environmental outreach program that teaches middle school students about climate change and inspires them to take action. 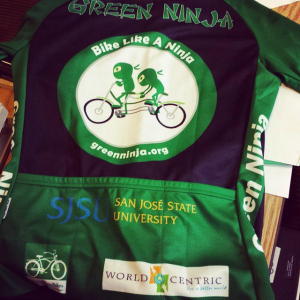 A custom-designed jersey (courtesy of The Green Ninja Project). We are excited about the ride, but also a little nervous,” says Professor Eugene Cordero, a climate scientist in the Department of Meteorology and Climate Science. The team is made up of two professors, one alumna, one staff member and three students. Some are avid cyclists, while others are beginning bicyclists. Even though their skill level varies, they all share a common goal — a commitment to maintaining a healthy planet and reducing climate change. You can follow the team and encourage them on via SJSU’s official Facebook, Instagram and Twitter accounts, using the hashtag #SJSUclimateride.